North Korea is "completely unhinged" and it's impossible to hold negotiations with the communist nation, the US House Intelligence Committee chairman said Monday. "The North Korean regime is completely unhinged. They've long been unhinged. And the closer they get to ability to not only detonate a nuclear weapon, but also deliver that nuclear weapon, we have to take that seriously," Rep. Devin Nunes (R-CA) told reporters. "This is not a regime that ... by any stretch of the imagination, you can have actual negotiations with," he said. The lawmaker also highlighted how badly the North treats its people. "It also is, I think, one of the biggest travesties on the planet when people find out what's happening in North Korea, where you have probably 20 million people living like animals. 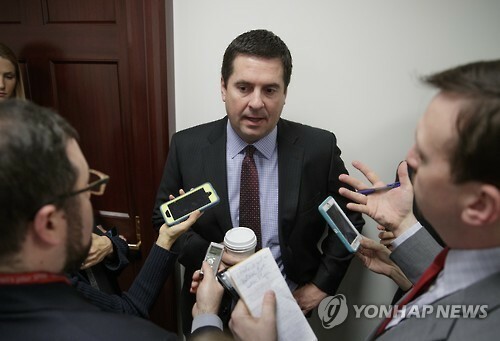 I think that we should all be concerned about it," Nunes said. "And somebody who is unhinged as the North Korean dictator, we should all be concerned about it, and so should the Chinese and the Russians and others," he said. Fears of the North's nuclear and missile program have grown significantly in the U.S. since last year as Pyongyang carried out a number of weapons tests, including two nuclear tests and a series of ballistic missile launches, at a rapid pace unheard of before.